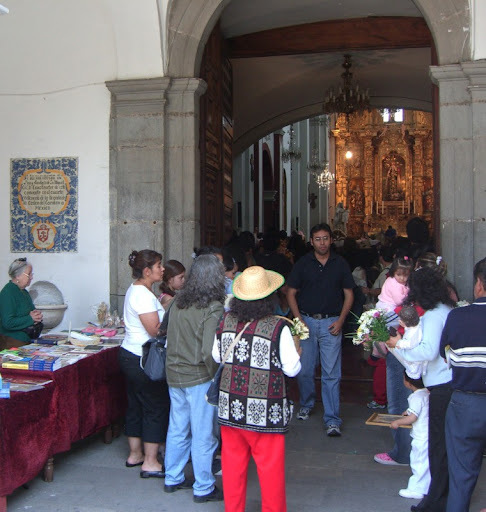 This past Saturday, February 2nd was the celebration of Candelaria, which is the local name for the Feast of the Presentation of Jesus at the Temple, which marks the end of the Epiphany season in the Roman Catholic Church. 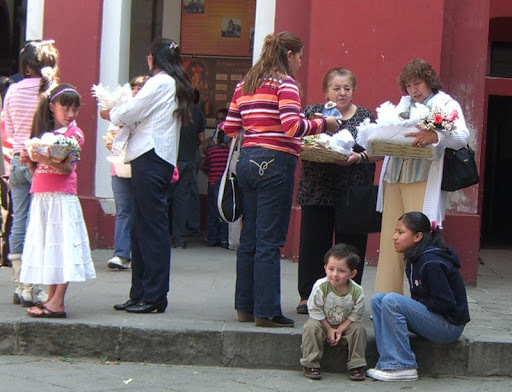 Likely symbolizing the presentation of Jesus, one of the local traditions on Candelaria is the "Niño Diós". Dolls varying in size from very tiny to "life" sized are dressed up and carried in baskets to local churches. We spent part of the day in the neighborhood of San Angel, and Niño Diós was *everywhere*. In the churches - Niño Diós. In the streets - Niño Diós. On the Metro, Niño Diós. At this time of year, there are rows of stalls in certain parts of the city that sell nothing but the clothes for the dolls. It's a pretty big deal. The second tradition is to get together and eat tamales. The tamales are supposed to be brought by the person who, on a previous celebration on January 6th, received the special piece of the Rosca de Reyes cake with a little -you guessed it - Niño Diós inside. Neither of us being on either side of a Tamal debt, we purchased a few from a local seller and enjoyed them for dinner.